Amid all the excitement about Apple and Samsung’s race toward building a foldable flagship, ZTE was apparently silently working on just the right tech to steal the show. 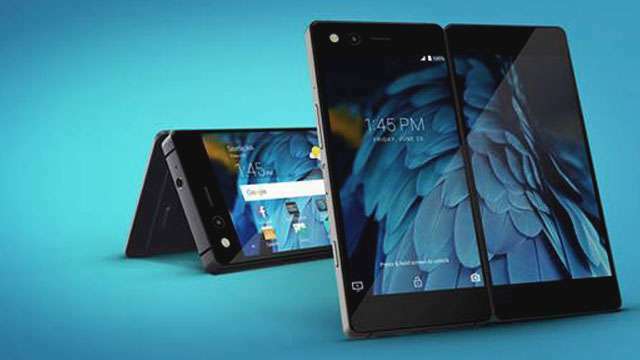 Now, it seems like ZTE beat the two giants at their own game after introducing a new clamshell type smartphone that provides users with twice the screen real estate in one device. At first, the Axon M looks clunkier than your average phone with a 5.2-inch FHD display, Qualcomm Snapdragon 821, 4GB RAM, and a 20-MP camera than runs on 3180 mAh. Like the name suggests, this mode allows users to display the same content in the first screen on the other. It’s pretty useful if you want to share images or a video with another person while sitting across from each other. Extended mode basically doubles your screen size so you can play games or watch videos and other content with a larger screen. The downside is there’s a noticeable gap between the two screens since ZTE hasn’t incorporated a bezel-less design. If your thing is multitasking then this one’s for you. With split screen mode, you can run different apps in each screen like you would if you had two smartphones. There’s no word yet on the pricing, but ZTE reportedly sees their new product as a premium phone. The Axon M will be launched in the US and Japan by the end of this year, while it is scheduled to be released in Europe and Asia sometime next year.